Other than all that, here are a few other reasons why you should include Ecuador in your 2018 holiday plans. They say it's the end of the world when this Basilica is completed. Hence, it's never completed. Still one of the most majestic buildings I've seen. The US dollar has been the main currency since the year 2,000. This is when Ecuador retired the Sucre. This means that; you shall not need to exchange your money or figure out an exchange rate. Also, prices are very low in Ecuador, and hence you shall be getting a lot more from your dollars. If you live in the Southern part of the US, you can easily make Ecuador your weekend getaway plan. This is because a one-way flight to the capital city Quito will take you only four hours, and in the Fall, you can get a non-stop flight from New York to Ecuador’s largest city: Guayaquil. This is around six hours. Well, if you have never heard of an endless spring, then you should visit Ecuador to see it. Since the country sits on the equator, the mainland stays at an average temperature of 66°F/19°C all year long. The temperature does vary from place to place, but in this country, there’s always somewhere you can visit where the temperatures are nice and warm. With a coastline that stretches for 853 km, its no surprise that there are many beaches in this country. On the coast, you shall find some famous towns such as Puerto López Salinas and the town of Salango where people go for scuba diving/snorkelling. We are not forgetting the Galápagos’ island as well, which we shall get into later on in details. There are many mountains and volcanos in Ecuador, to keep you busy throughout your holiday. A popular volcano is the Cotopaxi volcano which has already erupted over 50 times now since the year 1738. The nightlife is quite active especially in the capital city Quito, where Karaoke nights are very popular. The local cuisine is also diverse, and the Ecuadorian’s national specialties include seafood and hearty mountain fares to keep your taste buds nice and busy throughout your stay. There are also many clubs, bars, and restaurants to party the nights away. All of these are open till dawn, and the people here just love to drink cocktails, sing karaoke and dance all night long. Built on the foundations of the ancient city of Inca, Quito is Ecuador’s capital city, and it stands at 2743 m above the sea level, making it one of the highest capital cities in the whole world. Now, that is enough to get you excited about touring this town. Your first night in Ecuador will see you land in the Mariscal Sucre International Airport for your holiday trip. From here you can check into your hotel, and have a few hours of rest, to get rid of the jetlag, and be ready to begin your tourist duties the next day. 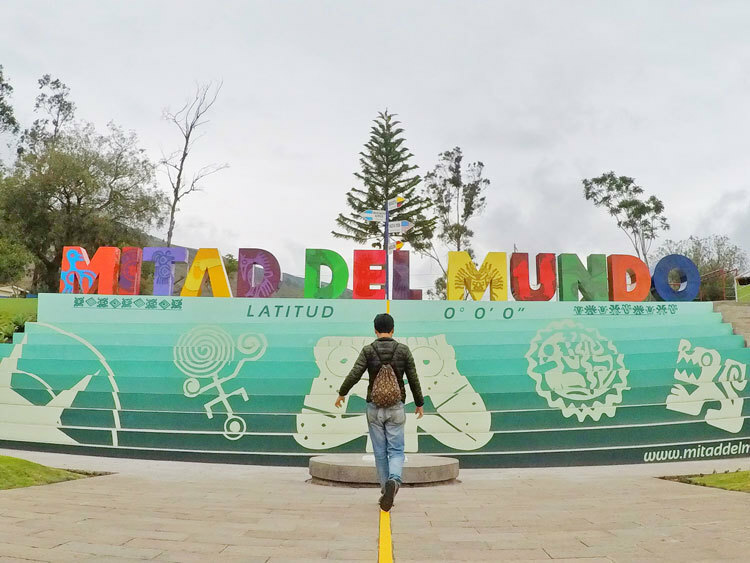 La Mitad del Mundo, also known as the middle of the world, is perhaps one of Ecuador’s biggest claims to fame. It attracts thousands upon thousands of tourists each year, to have a look at the monuments that were built to mark the Equator. The word Ecuador in Spanish actually means the Equator, and that is why this is a famous archeological location that will clearly show you how the country came to be known as Ecuador. This is because it is located on the equator. You will view the scientific feats that were used to charter the spot, and also the geographic oddities which sprung up around it. From your hotel, take a ride to the Ciudad Mitad del Mundo where you shall be able to see the monument to the equator, and also the plaza that divides the whole world into two. This is built to commemorate a French expedition in the 18-the Century that helped to determine the exact circumference of the Earth. This will be the perfect end to your holiday, and you can spend some time just relaxing, go to the spa and horse-back riding. You can also get a massage and a facial as you relax, awaiting your departure day to go back home. This site will give you some insight into the legacy of one of the earliest scientific missions. While in the middle of the world, stop at the Intiñan Museum, where you can participate in some experiments, which can only be done on the equator. 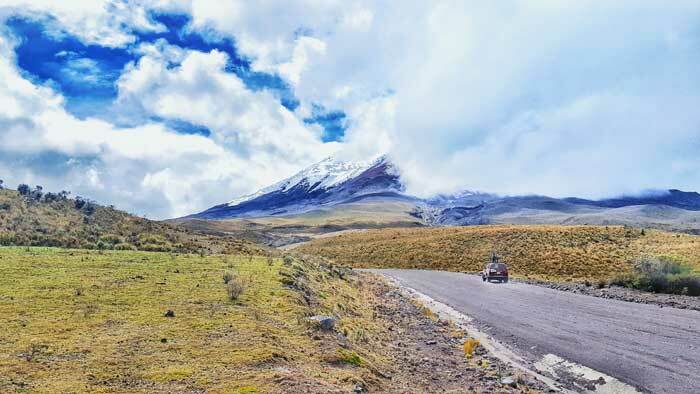 On the next day, immerse yourself in Cotopaxi National Park’s wild terrain, for a biking and hiking excursion. This will take you through the grassy highlands and the surreal volcanic landscape. This hike starts from 4,810 meters, which is quite high, so come prepared. 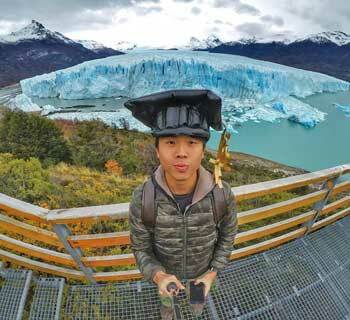 If weather permits, you'll hike up to 5000m to reach the glacier line. Finish up your day with a thrilling downward bike ride to the Limpiopungo Lagoon. and also have some lunch before going back to Quito. For this adventure, the whole package will include breakfast, lunch, entry fee into the national park and cycling equipment. Combination of hiking and biking. Hiking up to 5000m as you enjoy the views. Take a thrill-filled downhill bike ride to the lagoon. Click here to read about my experience in Cotopaxi National Park. Most people use the public bus to get to Otavalo, and the trip is about 2 hours long and costs approx USD $2.50. At the Carcelén bus terminal, take a Cooperativa Los Lagos or the Cooperativa Otavalo. This will get you to Otavalo which is 110 km, north of Quinto. This is the biggest artisan market in Latin America, and is open all days of the week, but, some days are busier than others. Saturday is the busiest market day, while Wednesday is the second busiest market day in Otavalo. 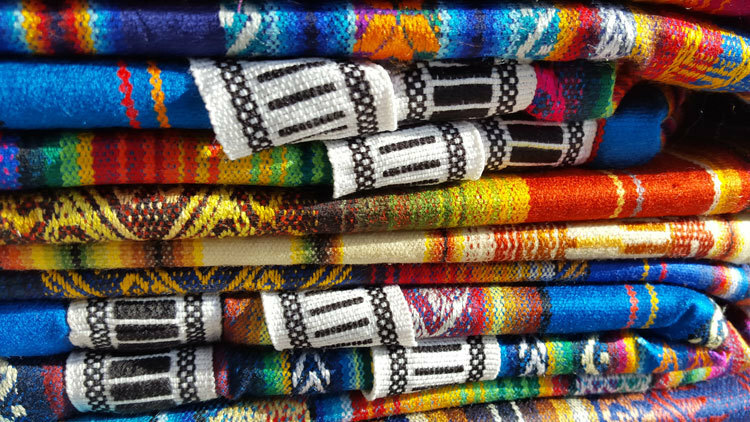 The Artisan Market in Otavalo is known as the largest indigenous market in the whole of South America and it is known as an “artisan” market because it specializes in selling the commercially made goods. Here, you will find handmade textiles, wood, ceramic, silver, metal products and leather artifacts. Put on some comfy shoes to tour this market, as you shall be spending all day walking up and down the streets where you are bound to find some interesting artifacts to purchase as souvenirs just so you can always remember your time in Ecuador. By the time the sun comes up in the morning on most Saturdays, the animal market is usually well on its way. People come from all over the countryside to sell and also buy all types of animals, large and small as well. Everything is normally very well organized, with large animals such as cows being placed separately from the others such as chickens and guinea pigs. There are also many rows of vendors selling other stuff such as farming equipment and foods. This is not a typical tourist market, as you will not even be noticed. Business is very serious, but you can be able to take some great photographs in this market. Animal rights activists might want to avoid this market. Mindo is located just two hours from Quito, and it is a mountainous cloud forest town that is filled with many waterfalls. Now, that must sound like heaven to any tourist. There are also birds, orchids, and butterflies for you to see in this town. To get there, you can take a cable car that is above the trees and get to view the waterfalls while on top, or, you can go zip-lining, river tubing and hiking into the forest while you tour the chocolate farms in Mindo and have a taste of their cuisine. The climate and landscape in Mindo are perfect for over 450 bird species as well as numerous exotic butterflies and a wide variety of animals as well as reptiles that call this great forest their home. You will certainly have a lot of scenery in this forest. The town is also quite compact and you shall find many hotels and restaurants running through the town. The Galapagos Islands offers a diverse wildlife and the kind of landscapes that you shall not find anywhere else on earth. There are also soft, snow-white sandy beaches, sea lions, radiant and coloured fish, among many other sights you shall get to behold in this island. It’s no wonder that it is one of the most popular tourist destinations in Ecuador. There are three main islands that you shall be visiting during your time in Galapagos, i.e. Isla Isabela, San Cristobal and Santa Cruz. You will, therefore, need to plan your trip well, so you can be able to tour all of them during your stay. Book the trip with a reputable tour company so you can utilize your time well. Before traveling to this famous location, you will first need to plan in advance for it. The best way to travel to Galapagos is by flying from Ecuador. All flights by either LATAM or Avianca are okay because these are extremely reliable and reputable South American Airlines. Baltra; this is the closest airport to Santa Cruz Island and Puerto Ayora islands. There is a free shuttle to the ferry that will take many people from Baltra to Santa Cruz. Once you dock, take a bus to Puerto Ayora. San Cristóbal; this airport is right in the San Cristobal Island, so it is the best and fastest way to get to the Island. The check-in process; this takes a while. Whichever flight you use to get to the Island, you will be required to fill in some paperwork that will let you in. you will then go through extra security at each checkpoint for certain items which are not allowed in, e.g. any raw produce. This means you will be making lines for every check, and if there are many people visiting, you may be held up for a while. Arrival at Galapagos Islands; Once you arrive, be prepared for more paperwork, and you will also be required to pay an entrance fee of $100. Well, this is steep, but the fee goes a long way in the conservation of the island, research, habitat protection, breeding of endangered species, and many other wonderful services that keep the island going. High SPF sunscreen – these Islands are on the equator and the sun is HOT! Reef Safe Sunscreen – this is for when you shall go snorkelling and swimming. This will protect the underwater critters and coral reef. These islands are all about the wildlife. They are carefully protected and preserved as a marine facility and a sanctuary where you can spend a day observing the animals, as they go about their businesses, totally oblivious. You are however not allowed to touch them. This town is located on the Pan-American highway, and it is the location of the awe-inspiring “avenue of volcanoes.” This attracts many mountain climbers and hikers every year. It is surrounded by many peaks, including the active Cotopaxi volcano. Latacunga is the gateway to many rural areas in Ecuador and the friendly indigenous people. Getting there is quite easy, as it is a short two-hour bus ride from Quinto. The roads are good, and the buses leave every two minutes. The cost for this is $2. 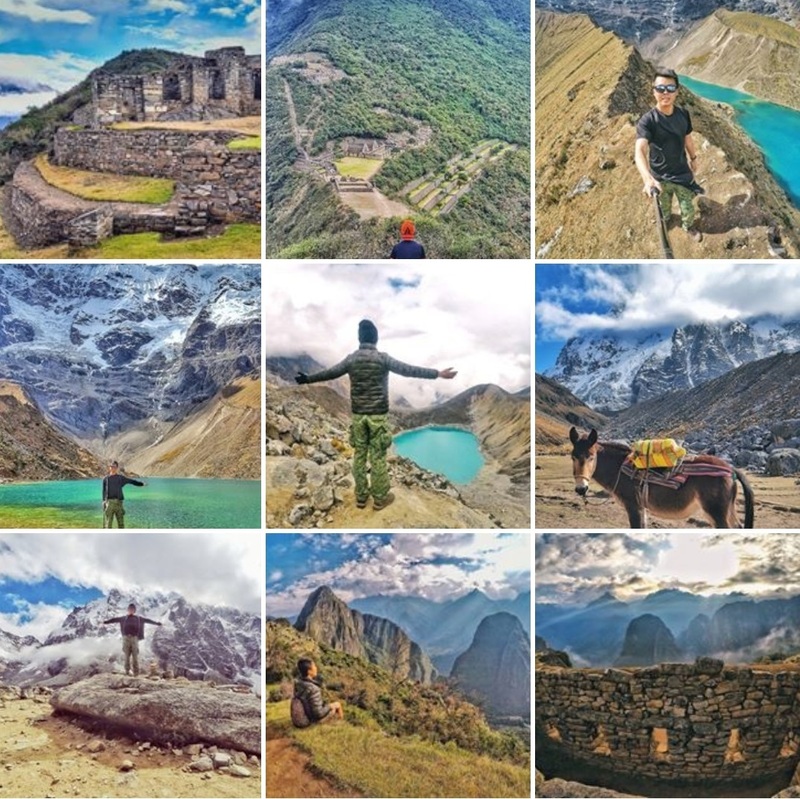 This comprises of many indigenous Quechua communities that are located up in the Andes, and it is called the Quilotoa loop because most people do a loop around the towns which either begins at Quilotoa or ends at Quilotoa, where you shall find a great crater lake. To get to Quilotoa, you can either hike from town to town if you are fit and a good hiker, or you can take a transit from town to town. 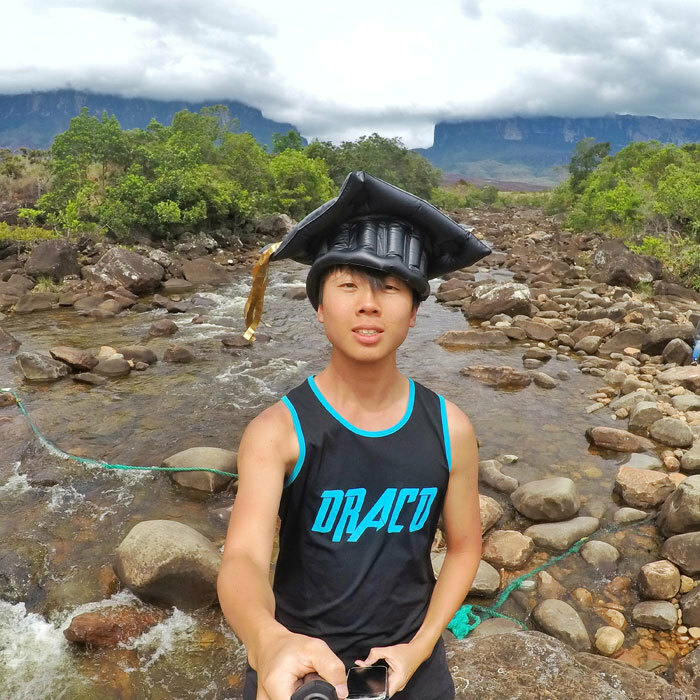 The hike may be a bit difficult but is the best option if you love to hike, and it takes a few days, where you shall sleep in the hostels every day. Now, once you get there, you will find many routes to choose from, you can start from Quilotoa and move clockwise or go anti-clockwise. You can use a guide who will guide you properly or get a map from your hotel and follow the trail. The popular route, however, is the Sigchos > Isinliví > Chugchilan > Quilotoa and it will take you four days. Day 1 – Take a bus ride from Latacunga to Sigchos. This will take you at least 2 hours. The bus ride will cost you approx. $3.50, and the best bus to take is the 9:30 am a bus. Depending on the time of year you visit, there may be some rain, if you go later than 9:30, and also, the weather tends to be much better in the mornings. Once you get to Sigchos, it is now time to begin the hike. From Sigchos to Isinliví will take you 3-4 hours, so it is wise to start your day early, and hence the 9:30 am a suggestion. Day 2 – Trekking from Sigchos to Isinliví will take you at least 4 hours, where you will need to alternate between the paved roads and the trail. If you do not have a guide, keep to the right side of the town, until you find a dirt road that you shall use to hike. Keep hiking through the pink church, Llulu Llama Hostel, a few farms, many different dirt roads, and other sightings you shall find on the way. Keep following the dirt road, until you find another road where you will turn right. Make the turn, follow the road until you come to the town of Isinliví’. You may have to spend the night in Isinliví, to take a rest, then continue with your hike the next day. You can stay at the Hostal Taita Cristobal, where the price per person is $15 which includes dinner for that day and breakfast the following morning. Day 3 – Isinliví to Chugchilan: The next day, follow the stream you shall see at Isinliví, then cross the river and take the very steep climb that you shall find on your right, and keep following the paved road as it will lead you to Chugchilan. This will take around four to six hours. You will spend the night in Chugchilan, to rest for the day. The El Vaquero is a good place to stay, and you can find a private room for just $15 There is a great view of the valley, a full dinner and breakfast for the next morning, plus the staff are friendly. Day 4 - Chugchilan to Quilotoa: On your last day, you will dip into the valley, then climb back up the other side to get back to Quilotoa. 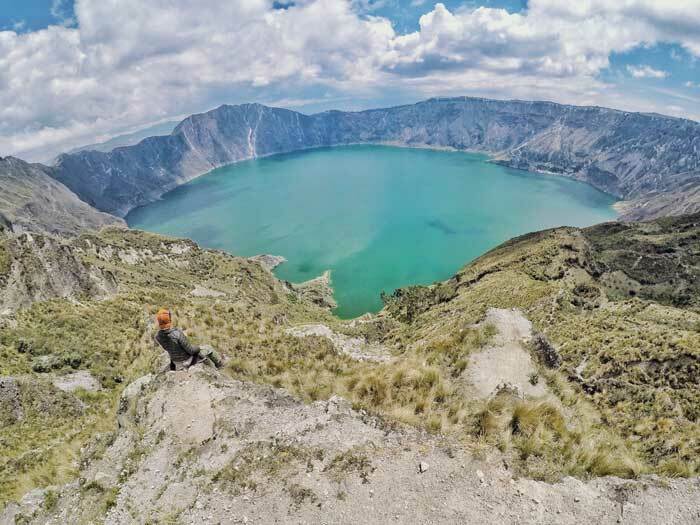 You will pass through a few towns and then zig-zag your way up the road to Laguna de Quilotoa. This hike is approximately five to six hours long, and you will finish the walk in the upper or inner rim of the crater. You will then catch a bus ride to Latacunga, where you shall stay overnight and head out early the following morning. For a full breakdown of the Quilotoa Loop, read about my experience here. This is Ecuador’s adventure town. Baños de Agua Santa which is its main name is known for two main things, its many adventure opportunities such as waterfalls, hot springs, mountains, rivers, etc., and it's naturally heated steam baths. It is located a few hours away from Quito, in a valley that is at the base of the active volcano known as Tungurahua. Being that Ecuador is a small country, getting around is pretty easy and cheap. You can get to Baños by using the bus. There are multiple locations all over for picking up a bus, plus the bus station is at the center of the city. Casa de Arbol is one of the main reasons why people come to Baños. There are giant swings which are super fun, and there is a cable you can swing from like a low-flying zip line. The entrance fee is only $2 and it’s the perfect low-risk kind of fun. 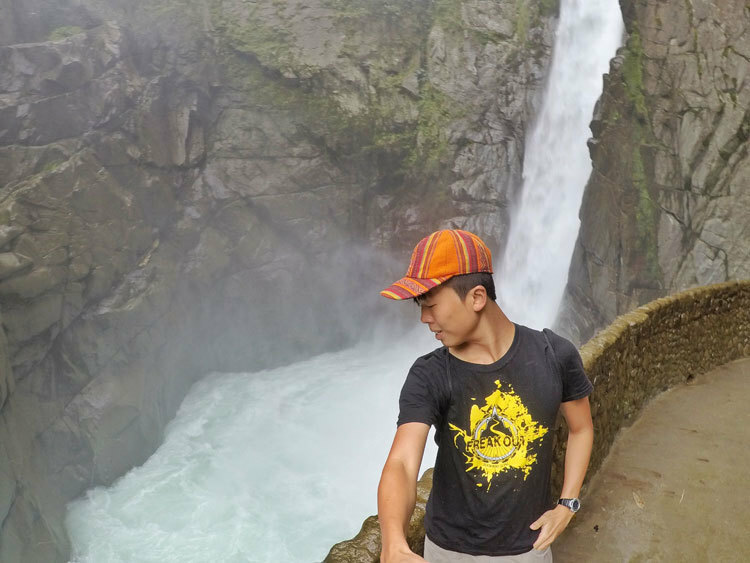 Next, to the thermal baths, there are many huge waterfalls, and Baños is home to Ruta de las Cascadas, and to get there, you shall pass through seven waterfalls. The Pailón del Diablo will definitely be the highlight of your trip with its tremendous flow of water into the Devil's Cauldron. These are less crowded, but they are pools of water filled with hot water. You can get to sit, relax and enjoy. Make sure to visit at night as during the day, the sun will make the heat unpleasant, and do not be nervous, they are safe and no one will bother you. This is the third largest city in Ecuador, and it is a UNESCO world heritage site. Here, you will find many churches, colonial buildings, and cathedrals. From Baños, you will need to take a bus ride to Cuenca, which will last almost 6 hours. This is less than one hour from the city, and it will give you a great encounter with nature. 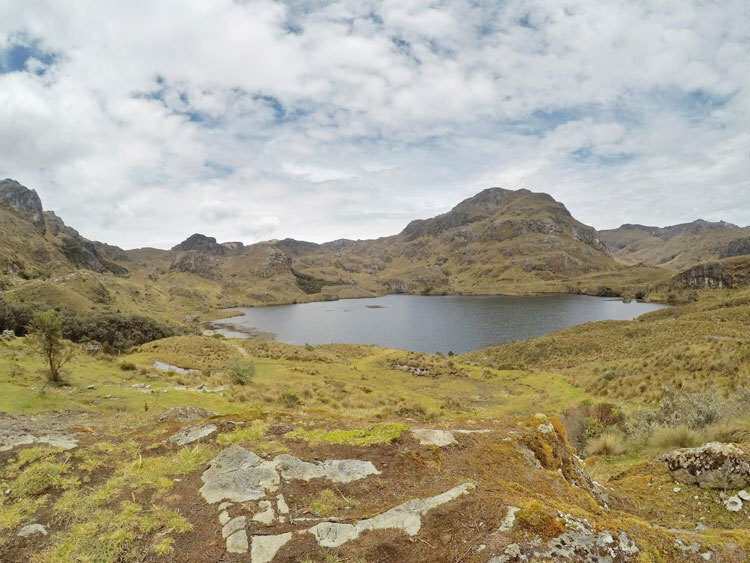 It is an ecological reserve that has many lakes, animals, and mountains. It is also a great hiking spot. You simply need to pick a spot and spend your day here just hiking and enjoying the outdoors. If you arrive on a Sunday, you will find deserted streets and quiet locations, where you can walk freely in the city center. The Parque Calderon is a great place to begin exploring, and in Cuenca, it is the largest plaza. There are two cathedrals surrounding it, which makes it very easy to see from whichever location. This is an excellent tourist base, that will help you get your bearing and start moving around. There are also hop-on-hop city tour buses that you can use to move around, plus you shall find plenty of restaurants to take a breather. 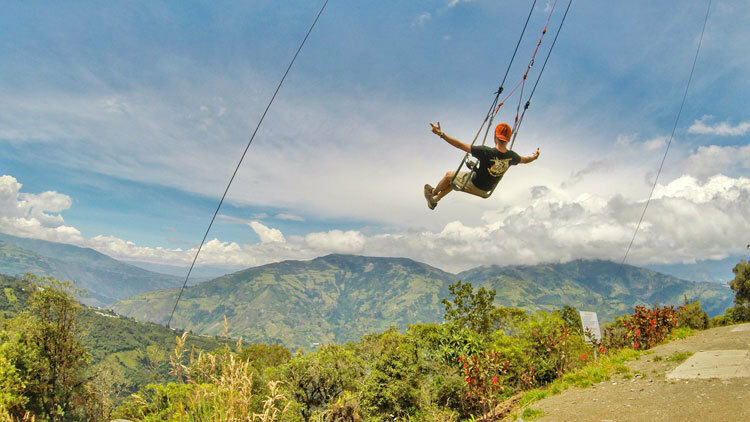 Away from Ecuador’s most famous hotspots, you shall find the town of Vilcabamba that is 80 km away from Peru. This is a small relaxed town, where rumour has it that the locals live to be over 100 years old. It is a peaceful little town that was nicknamed "The Valley of Longevity." 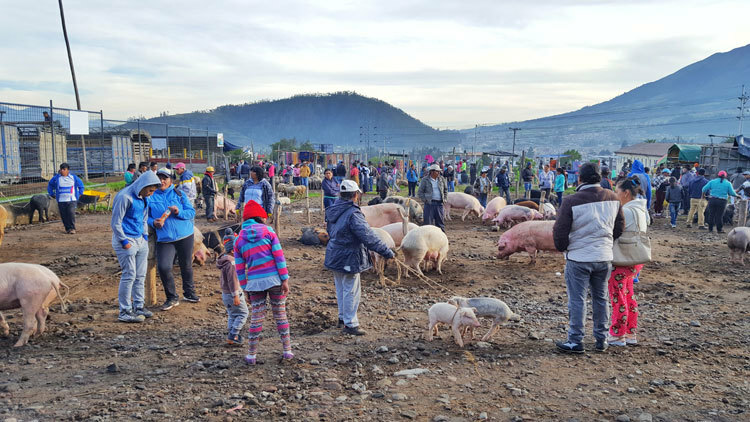 The town is far from most parts of Ecuador, and the nearest town is Loja. 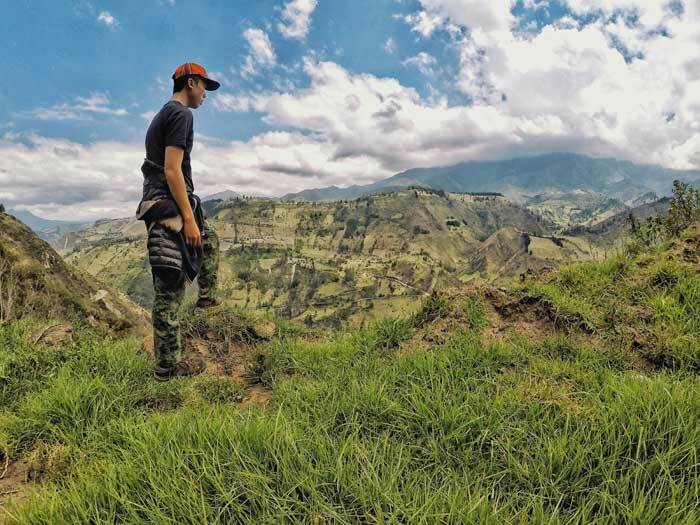 You can easily fly or take a bus in and out of Loja, to get to Vilcabamba, but the best solution is to book a shuttle and go through a resort. From Cuenca to Loja, the bus is 4 hours long and will cost you $8. When you're in Vilcabamba, just relax at soak in the fresh mountain air. This is the perfect place to end your trip and reflect on your marvellous trip through Ecuador.